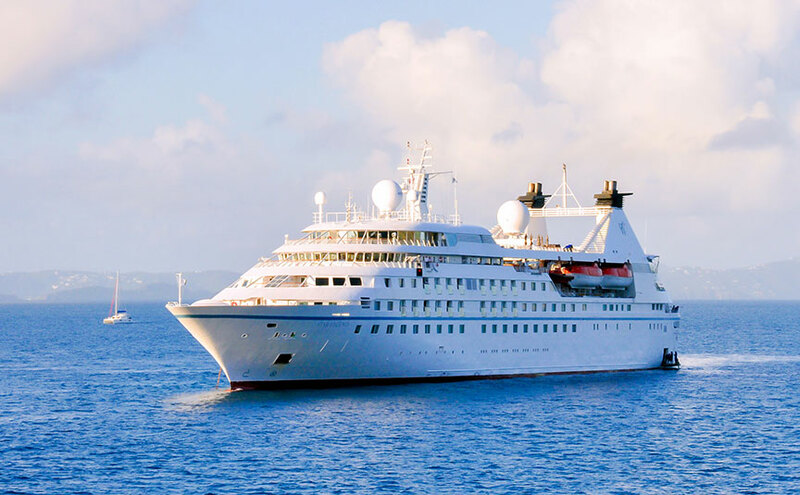 Windstar’s Star Legend accommodates just 212 guests. Seattle-based Windstar Cruises has begun their ambitious project lengthening three of their ships at Fincantieri’s shipyard in Trieste, Italy. Steel was cut for the first of three new ships sections as part of Windstar’s $250 Million Star Plus Initiative in early April. The $250 Million Star Plus Initiative is the most complex and comprehensive small ship lengthening, engine replacement, and renovation project undertaken in cruising. Windstar will take half of its entire fleet – Star Breeze, Star Legend, and Star Pride – and renovate each ship in succession. The work on the first of the three ships begins on Star Breeze in October 2019 and shall end with the departure of the Star Pride from the yard in November 2020. This steel cutting marks the beginning of true project construction. The popular ships will be cut in half to allow the installation of a new stepped mid-body section that will lengthen each vessel by approximately 25 meters. 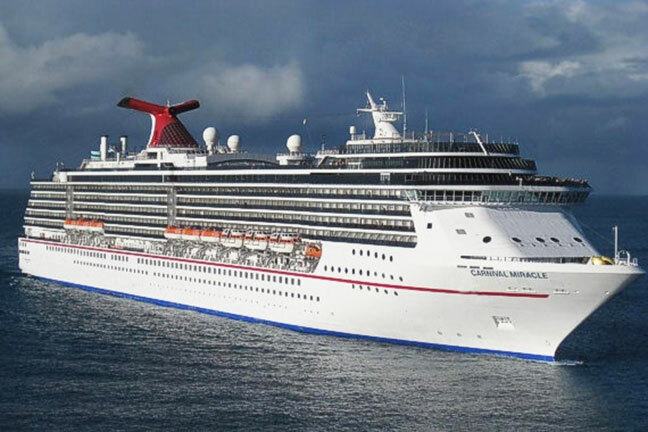 The total capacity of the “new” expanded ships will be 312 guests, and additional staff will be hired in order to maintain the line’s impressive 1.5 to 1 guest-to-service staff ratio. The new sections will be built in Trieste and then will be transported south by barge to the Fincantieri yard in Palermo, Sicily, Italy to be inserted into the iconic Windstar ships along with the new engines. 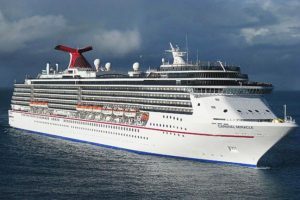 The timeline requires the new sections to be fabricated from April through September, shipped in October, and then inserted into Star Breeze so that she can be completed in time for her arrival for re-inaugural activities at the port of Miami on March 19, 2020. Cunard’s beautiful Queen Mary 2. Luxury cruise brand Cunard today unveils their Oceans of Discovery voyage program for November 2020 through May 2021, featuring Full World Voyages and in-depth itineraries in Japan and Australia. The Cunard fleet, including Queen Elizabeth, Queen Victoria, and flagship liner Queen Mary 2, will call at 94 destinations in 38 different countries, including four exciting maiden calls in Japan, Taiwan and New Zealand. Cunard pioneered the concept of world cruising in 1922 and has since undertaken more world voyages than any other passenger line. 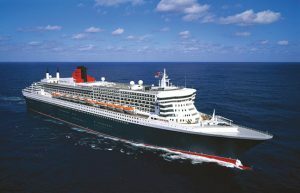 In 2021, Cunard will continue the tradition of world cruising by operating Full World Voyages on two ships: Queen Mary 2 will offer the classic East-West voyage to Australia and Asia, Southern Africa, the Indian Ocean, Arabian Gulf and the Mediterranean; Queen Victoria will travel the globe with a westbound circumnavigation via the Panama Canal. Queen Elizabeth will carry out exotic voyages with regionally-focused itineraries in Australia and Japan. Whether traveling on a two-night short break or a full 113-night world voyage, the Cunard 2021 program will offer a mix of the most celebrated cities along with smaller, off-the-beaten-path but equally charming destinations. Itineraries have been thoughtfully created to offer longer, more enriching days in port as well as plenty of time at sea to enjoy everything Cunard ships have to offer. In more Cunard news, the company announced the world class team of designers recruited to create the interiors for its eagerly anticipated new ship set to launch in 2022. Working in concert with the project’s world renowned Creative Director, Adam D. Tihany, will be award-winning designers Simon Rawlings of David Collins Studio, Terry McGillicuddy of Richmond International and Sybille de Margerie from her eponymous design company. “Cunard has amassed the most talented interior designers in the industry to bring our new ship to life. Each member of the team brings a unique skill set to the project and working in symphony with legendary Adam D Tihany will ensure a product that is one-of-a-kind and uniquely Cunard,” said Josh Leibowitz, SVP Cunard North America. Princess has great plans for their ships to Alaska in 2020. 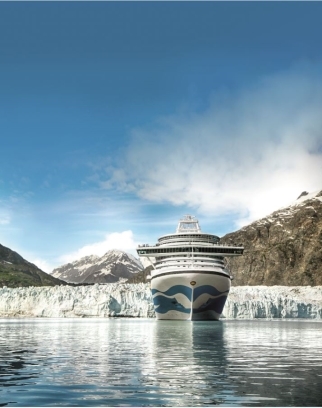 With 25 cruisetour itineraries, guests can enjoy a seamless vacation experience by combining a seven-day Voyage of the Glaciers cruise, plus three or more nights in the Alaska wilderness, including scenic rail travel and stays at Princess-owned lodges. New for 2020, Princess offers a 17-night Ultimate Cruisetour, with 10 nights on land that includes two nights at each Princess Wilderness Lodge. Only Princess Cruises offers exclusive Direct-to-the-Wilderness rail service between the ship in Whittier and the Denali-area and custom-built wilderness lodges on the doorsteps of legendary national parks. 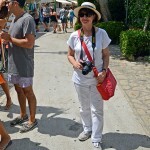 Service on most cruise lines is good, but when it’s not what to do? (Cruise Critic) In a bygone era of cruising, passengers showed their appreciation for crew member service by tipping those who went above and beyond the call of duty. These days, if cruise gratuities aren’t prepaid, most non-luxury lines automatically add tips of anywhere from $14 to $20 per person, per day, to passengers’ shipboard accounts, usually depending on the type of cabin in which passengers are booked. Most lines — with the exception of Norwegian, which requires cruisers to file a reimbursement request after the cruise ends — allow passengers to adjust or remove automatic tips by visiting the front desk. But just because you can remove gratuities doesn’t mean you should. 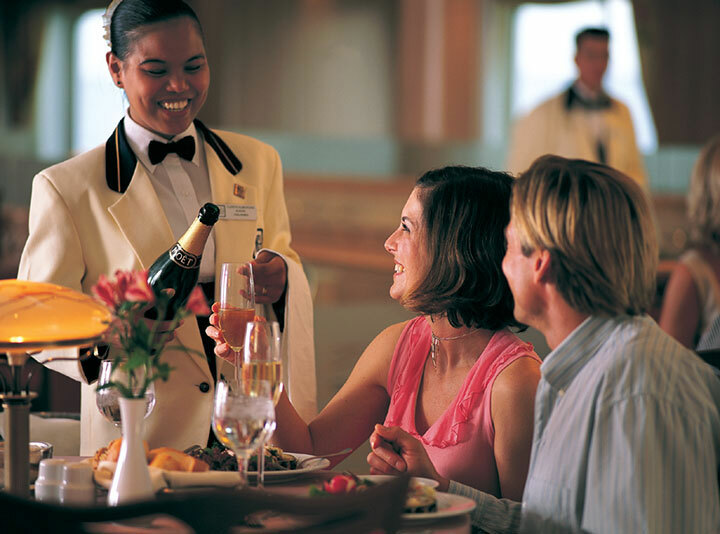 Below, we explore the pros and cons of tipping versus not tipping on a cruise and consider times when passengers might or might not think about removing cruise auto-gratuities. It’s rare that all areas of service are lacking onboard, but it’s certainly not out of the question. If you notice a problem that makes you think twice about tipping, be sure to speak with someone at the front desk who can try to resolve your issue before removing tips becomes necessary. If you truly feel as though the crew has performed below an acceptable standard, you reserve the right to ask for a refund of the amount charged to your account for tips or to decrease it as you see fit. With auto-gratuities, tips are pooled, and a portion goes to each person who helps to make your sailing special — even those behind-the-scenes folks (laundry staff, cooks, etc.) you never get to meet in person. If you feel strongly that you’d rather recognize your room steward or waiter individually for stellar service, feel free to do it the old-school way — by presenting him or her with an envelope full of cash. Tipping on cruises is a hotly debated topic, and no article about it would be complete without a mention of those who feel gratuities are supposed to be extra, rather than implied. In some countries and cultures, gratuities are neither the norm, nor are they expected. Even in America, where tipping is a way of life, some people resent being forced to pay a daily charge for services that might be considered the standard duties of one’s job. To avoid issues, some lines that cater to passengers in regions where tipping isn’t customary — the U.K. and Australia, for example — simply roll any such service charges into the overall cruise fares. However, most cruise lines are based in the U.S., where the crew members’ pay structure is based on tips — whether you like it or not. If you refuse to tip on principle, you are impacting the salaries of the people who have served you well onboard. Cruise Lines International Association (CLIA) has announced two new online courses, as well as three updated courses, to its professional development program available to travel professionals. (NEW) Building Client Loyalty: No business can grow and prosper without repeat business. This CLIA course will show you how to generate loyalty among your customers. You’ll learn how to uncover hidden client needs, apply quality service and implement the 10 fundamentals to building and maintaining client loyalty. (NEW) Power Selling Techniques: Take your sales skills to the next level! Building upon the foundation of Power Selling Skills course, learn additional techniques that will truly turn you into the power selling travel consultant you can be. This course provides additional tips, such as the five mini steps of sales and six super selling skills. If you want to be a top-seller, you cannot afford to miss this course. (UPDATED) Cruising 201: Learn where the popular cruise regions are and types of itineraries that are common with cruise line products. Explore more in-depth details regarding cruise pricing and what is included in a cruise fare as well as how to position the value of a cruise vacation. You will also learn about the different types of ships and how the size and personal space onboard matter to your clients. (UPDATED) World Geography- Western Hemisphere: Dive into Western Hemisphere cruise geography with this highly participatory workshop. You’ll feel as if you are visiting the popular destinations, ports and itineraries in the Western Hemisphere, viewing beautiful photos and participating in activities geared toward expanding your familiarity of the region. (UPDATED) World Geography- Eastern Hemisphere: Now that you need it, don’t you wish you had learned more about geography while in school? Well, here it is, CLIA’s crash-course on Eastern Hemisphere cruise geography. In this highly participatory workshop, we’ll take you on a journey to the destinations, ports and itineraries in the eastern hemisphere that you need to know – and how to sell them. CLIA’s online courses are available to Individual Agent Members at the discounted member rate of $29/course and non-member travel professionals at $59/course. For more information on these new online courses and to enroll in one of CLIA’s Certification programs, please visit https://cruising.org/careerseascape. Holland America Line took home five Porthole Cruise Magazine’s 2018 Readers’ Choice Awards. Readers from Porthole, one of the world’s leading consumer cruise travel publications, recognized Holland America Line in areas that covered everything from top shoreside experiences to onboard facilities. Holland America Line won in the categories of Best Shore Excursions, Best Private Island for Half Moon Cay, Most Eco-Friendly Line, Best Medical Facilities and Best Facilities for Guests with Disabilities. Porthole Cruise Magazine’s annual Readers’ Choice Awards are determined by thousands of the publication’s readers who vote by online ballot on their favorite cruise lines in 51 categories. For the past 18 years, Porthole Cruise Magazine’s readers have named Half Moon Cay the industry’s Best Private Island. Half Moon Cay has evolved into an idyllic playground for cruise guests and features the finest beaches in the Caribbean; a natural 700-acre lagoon; incredible two-story villas and private cabanas; delicious dining venues like Lobster Shack; a new children’s waterpark; and a variety of fun-filled shore excursions for nature lovers, adventurous travelers and explorers. Cruisers can visit Half Moon Cay on nearly all of Holland America Line’s Caribbean cruises from Fort Lauderdale, Florida. 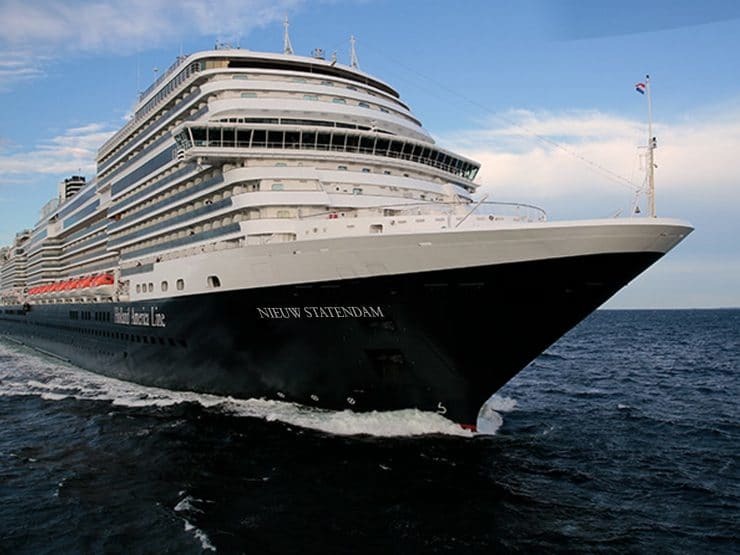 Holland America’s Nieuw Amsterdam is going through finishing touches to be ready this fall. Holland America Line’s Nieuw Statendam, the second Pinnacle Class ship in the fleet, returned to Fincantieri’s Marghera shipyard in Italy in late August after successfully completing two sets of sea trials off the coast. Nieuw Statendam left Marghera Aug. 10 and performed the first set of sea trials over two days before going into dry dock at Fincantieri’s Trieste shipyard, where the trial’s data was reviewed and standard hull maintenance was performed. The ship sailed its second sea trials Aug. 18, making its way back to Marghera Aug. 22 where the finishing touches will be completed. Due for delivery Dec. 1, 2018, Nieuw Statendam will explore the Caribbean in winter and then move to northern Europe, Iceland and the Mediterranean in summer during its inaugural year. The 2,666-guest, 99,500-ton ship will reflect the ongoing evolution of Holland America Line. From familiar elements that reflect a rich heritage and classic style to state-of-the-art enhancements that chart a bold new course forward, guests on board Nieuw Statendam will delight in details that are artfully inspired and perfectly presented to create the ultimate Pinnacle-class experience. While much of the ship’s design will be similar to Koningsdam, the first Pinnacle Class ship, Nieuw Statendam will have exclusive public spaces and its own style created by leading hospitality designer Adam D. Tihany and designer and architect Bjørn Storbraaten. The ship will feature all of the hallmarks of Pinnacle-Class design: grand, light-filled spaces; visual drama; and sumptuous interiors inspired by the fluid curves of musical instruments. 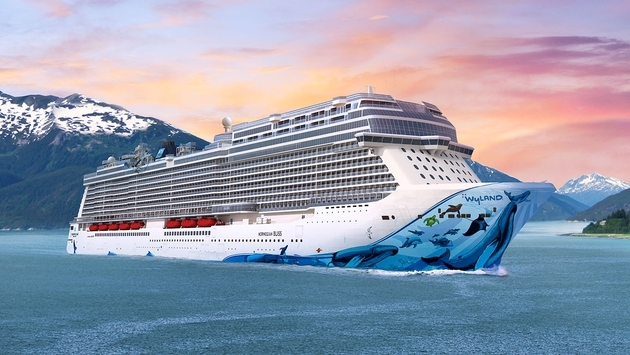 New Enchanted Princess is scheduled for delivery in 2020. 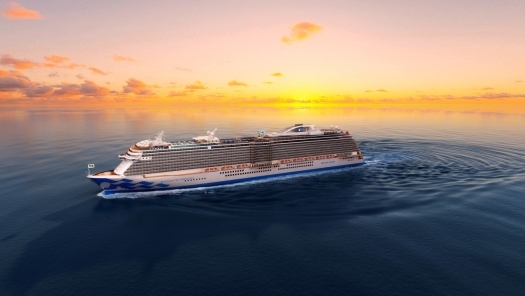 As Princess Cruises fleet expansion continues, the premium international cruise line reveals the name of the ship it will launch in 2020 – Enchanted Princess. Ms Swartz said Princess has the strongest pipeline of premium new ship builds in the world. 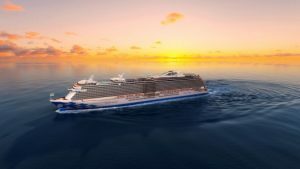 The arrival of Enchanted Princess will be followed by the debut of the sixth Royal-Class vessel for Princess Cruises in 2021. The cruise line also has two new Liquefied Natural Gas (LNG) powered ships on order, bringing its new ship order to five ships in six years.